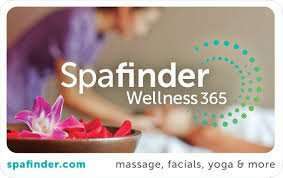 SpaFinder Wellness gift voucher is the gift that everyone wants and needs! This is a gift that is sure to put a smile on anyones face. In the UK you can choose from over 850 venues, from a countryside wellness retreat to a moment of relaxation in the city, the choice is yours. For those of you who love to travel the voucher can be used all over the world, from New York to Paris, the Caribbean to the Mediterranean. *Please contact individual resorts to confirm voucher usage terms and conditions. ** If the full value of the voucher is not used during the initial appointment, the spa wellness facility will issue credit for the unused portion that can be applied at a future visit at that location. The vouchers may not be redeemed for cash.